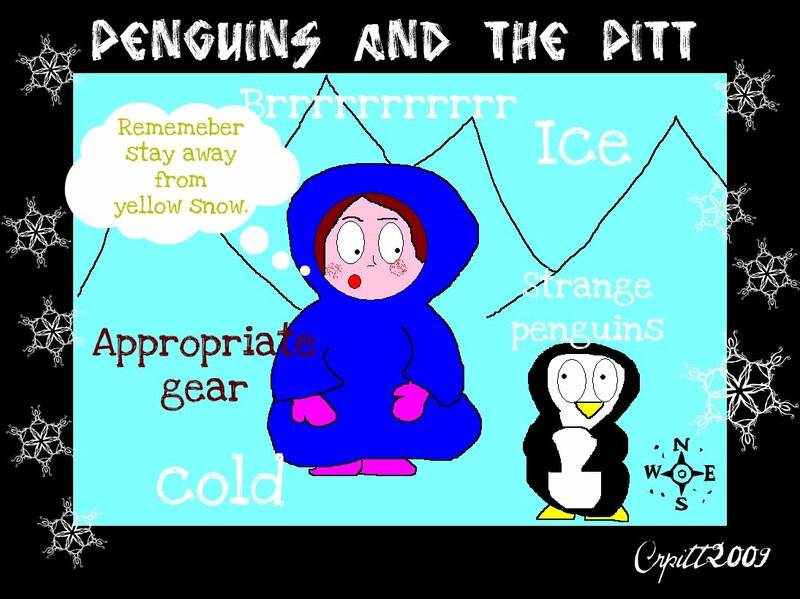 A little piece of me: Penguins, ponderings and picking me. Penguins, ponderings and picking me. Since the moonwalk finished I have been pondering what to do next that may be adventurous and/or challenging. Even though it hurt like a bugger at some points in the walk(about 24 miles out of 26.2), I still finished it. The buzz that you get from actually finishing an event is unbelievably good and worth the pain. I have felt that since then I can achieve anything I set my mind too. Although I may have to accept at some point that I can not actually win the 100m gold medal at the next Olympics. Also there is that small problem of not swimming that well and needing stabilisers for my bicycle. So what next? Penguins, penguins and more penguins (hopefully). What? I know you are now worried that I am going to jump in the penguin enclosure of the local zoo and molest some poor flightless creatures! Don't be daft, I am trying to to travel to their homeland and molest them insitu! I spotted a competition today that seemed to good to pass up, it offers you the chance to get an expedition to Antarctica all expenses paid and you get to blog about it. I think I could just about manage the blogging part, you think? I wasn't born with an adventurous soul; it is something that has happened over time. Well some would call it adventurous and some would call it buffoonery, I prefer adventurous. Over the last few years I have developed a more pronounced wander lust and that has been reserved to armchair travelling via nature and travel documentaries up till now. After recently doing the MoonWalk, a 26.2 mile power walk for Breast Cancer charities, I felt invincible! Well my feet didn’t, but I had gotten bitten by a bug that filled my mind with the ‘I can do anything!’ spirit. Okay anything may be stretching it as I am a rubbish swimmer and can hardly ride a bike, but you know the thought is there. Why Antarctica? Well bird watching and I have had a difficult journey; from the moment I could walk I was forced into the world of twitching by my father and granddad. Car journeys from one end of the country to the other end in record time, was not what I would call fun. Especially when the lesser potted whatnot had flown off, or had been eaten by somebody’s cat. So the ultimate revenge would be to go to place that they both would have loved to have gone! Well that would be rather mean of me; I would probably have to take the dad. I can’t take the granddad, well except in spirit, so that still only takes up two places. Voting does require registering and I know how much you love that.... But please do it! It does not involve spam. I will bring you back a snowball or something. I know the chance of me winning is slim to none, but it is somewhere that the dad has always wanted to go and it would be most excellent to go on an expedition with him. Even though this is something he would run off and do by himself. Just think how cool it would be to send me to a place like that! I could fall in the sea and freeze my pants off. The competition is stiff, as a lot of the fellow entries are professional writer types and/or people that have travelled extensively. I say boooooo to them, send a total novice instead, much more fun I thinks. Good luck! I applied to that best job in the world island paradise a few months back, but alas, I didn't get it. I'm sort of avoiding the whole blogging thing at the moment but that didn't stop me from registering and voting for your cold English self to have the chance to be even colder! Or may that's just a rumor and Brits really aren't really cold?? Good luck! Hopefully you will get it! That trip is definitely bucket list worthy! You remind of Jessica Alba from Good Luck Chuck. BTW, I voted for you. Good luck on your penguin adventure. I really appreciate the votes! Also any reference to being like Jessica Alba cant be bad, hahaha. I wish. Oh I was vote number 33. We need to drum up some more votes for you. I think this sounds like a great idea and after a childhood of forced birdwatching, I feel you deserve it! Best of luck. Wow--I have to say that I am impressed with the length of your walk--good for you. I walked the 25 mile Avon walk for breast cancer, in memory of my beloved aunt a few years. I was totally exhausted and exhilierated by the time I reached the finish line. I met so many cool women that weekend too.